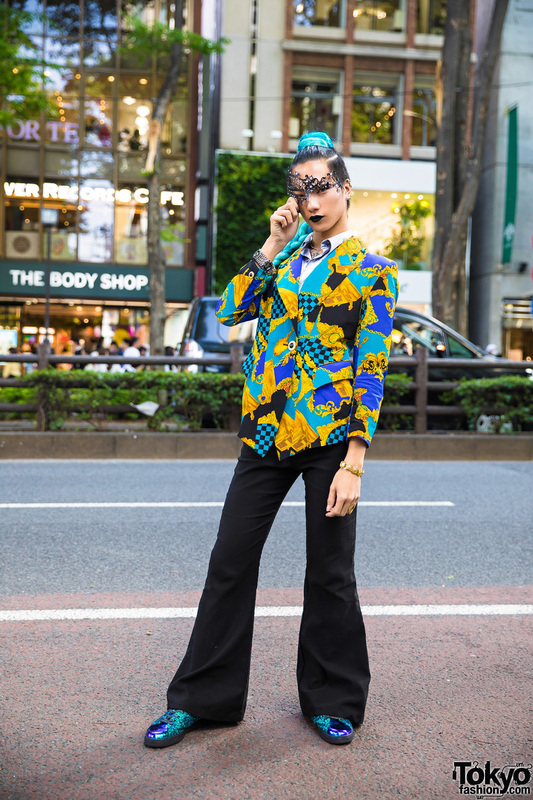 A beauty school student wearing a printed blazer, vintage shirt, black lace midi skirt, glitter sandals and a metallic crossbody chain bag. 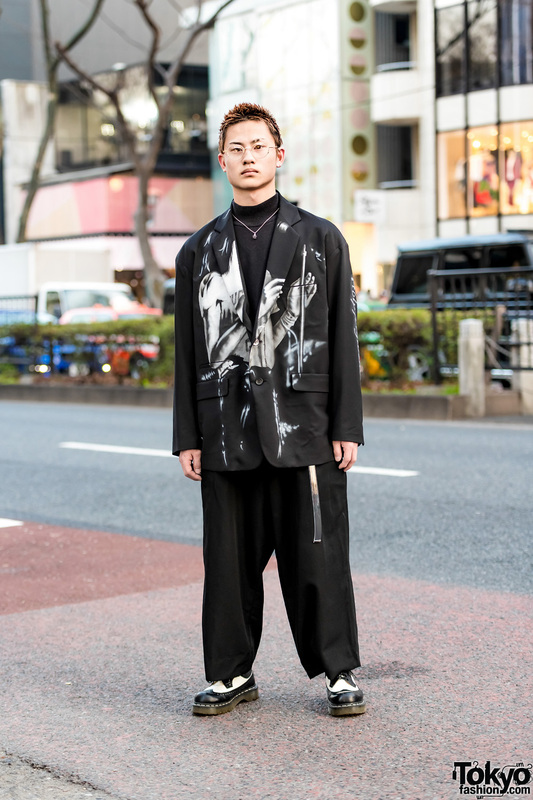 Japanese student sporting an all black menswear street style while out on the Harajuku street one afternoon. 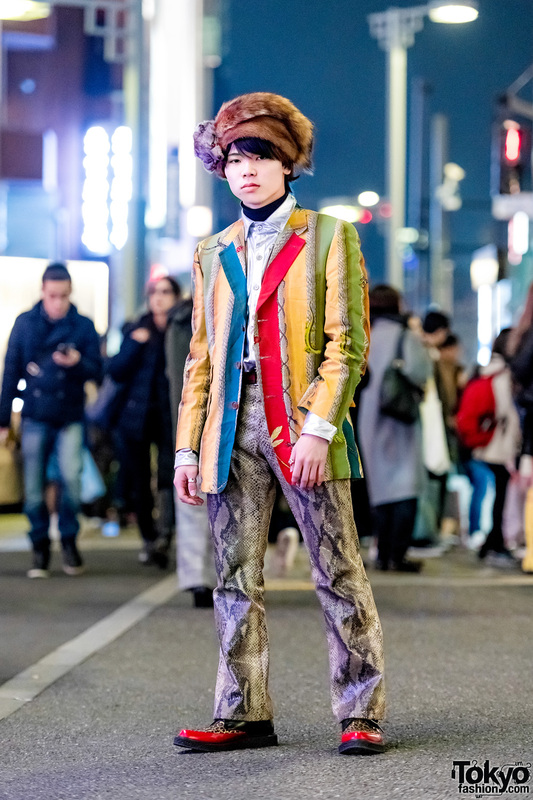 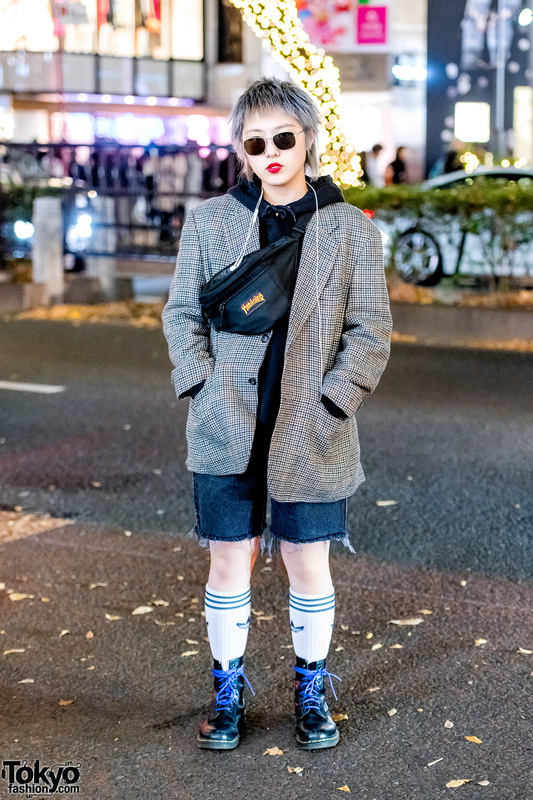 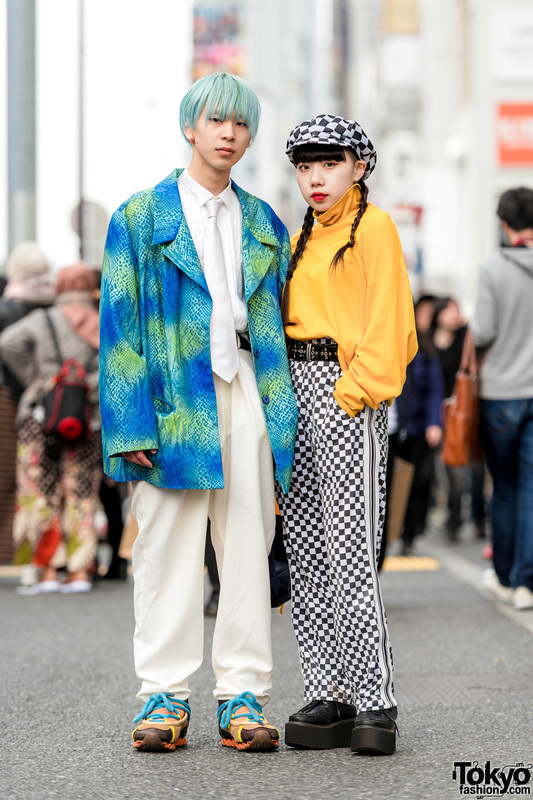 Harajuku girl dressed in a houndstooth print blazer over a black hoodie, denim frayed shorts, knee socks, black boots and a black belt bag.